This is it. Our guide to the best lenses for astrophotography, updated for the 2017 Holiday Season. These are our favorite lenses for almost every interchangeable lens camera system available today. We’ve compiled a “trifecta” of the best lenses for every camera system with options for any budget. If you’re looking for a great upgrade for your camera, a gift for your photographer friends or if you want to start building the best kit available for astrophotography on your current camera system, look no further than this list. I receive more questions about camera lenses than anything else. This guide (last updated November, 2017) is for Photographers looking for a distinct and tangible upgrade over the typical kit lens for their camera have a tremendous number of options from which to choose. For astrophotography, investment in a faster (lower f/number) lens will tend to show the most tangible benefits in image quality versus a camera body upgrade. 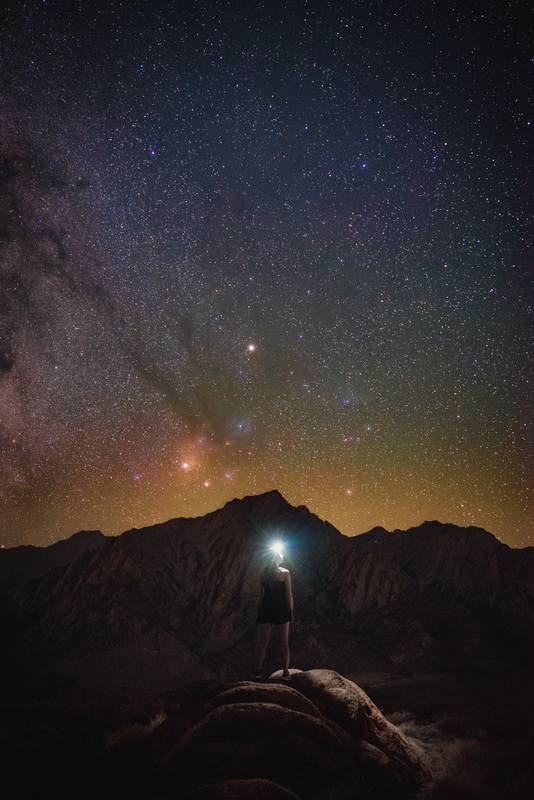 Lens manufacturers have started listening to the demands of the rapidly growing number of astrophotography enthusiasts for sharp, low aberration lenses and many of the best lens choices for landscape astrophotography have been released in the last few years. There are some lenses that I think will be on this list for a long time, namely the affordable Rokinon/Samyang branded 24mm f/1.4 and 14mm f/2.8 (full reviews). For full-frame systems, both of these manual focus lenses still offer very good performance for landscape astrophotography at a low price. The manual focus Rokinon 14mm f/2.8 still tops DxO’s list of best ultra-wide angle lenses on the 5DSR and the manual focus Rokinon 24mm f/1.4 shares the top of the DxO’s list of best 24mm lenses for the 5D Mark III. Both of these lenses have stellar coma aberration performance, a common concern for astrophotographers when considering dropping their hard earned cash on new gear. I still whole-heartedly recommend the manual focus Rokinon 14mm f/2.8 and 24mm f/1.4 as two of the best choices for landscape astrophotography, particularly on full-frame cameras, regardless of price. That said, the options have evolved and there are now many more options available for any given system. Now in 2017, Rokinon/Samyang have even outdone themselves with the new Rokinon 14mm f/2.4 SP (Special Performance) lens that’s faster, sharper and build to higher quality standards than their original 14mm f/2.8. The super wide angle is the workhorse lens for landscape composition. With fields-of-view exceeding 90 degrees from corner to corner, a super wide angle lens is the first recommendation that I suggest for most photographers looking to upgrade from their kit lens. The extra wide angle view helps tremendously with composition, especially when the plane of the Milky Way is high in the sky. Super wide angles range from about 8mm to 10mm on m4/3 cameras, 10mm to 14mm for APS-C cameras and 14mm to 20mm on full-frame cameras. Most super wide angle lenses that we recommend generally have an f/number of f/2.8 or lower. Sigma holds the absolute record for fastest super wide angle lens with the ridiculously bright Sigma 14mm f/1.8 Art (Amazon / B&H). A fast wide angle is the lens for pure low-light performance. With apertures of f/1.4 to f/2, a fast wide angle will gather two to eight times more light than the typical kit lens, making for the most tangible increase in image quality straight out of the camera. Use a fast wide angle to capture ultra low-noise landscapes. Fast wide angles range from about 12mm to 16mm on m4/3 cameras, 16mm to 24mm for APS-C cameras and 24mm to 35mm on full-frame cameras. The standard prime with a f/number of f/1.8 or lower is a recent addition to my recommended lenses for astrophotography. 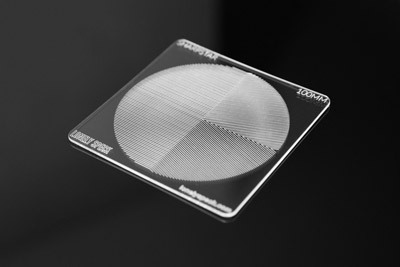 They have larger apertures when compared to most wide angle lenses. As a result, they gather more light, allowing them to capture even more fine detail in the night sky, even when stopped down to f/2.8. Their narrower field of view means that they can be used for making high resolution panorama stitches of the night sky. 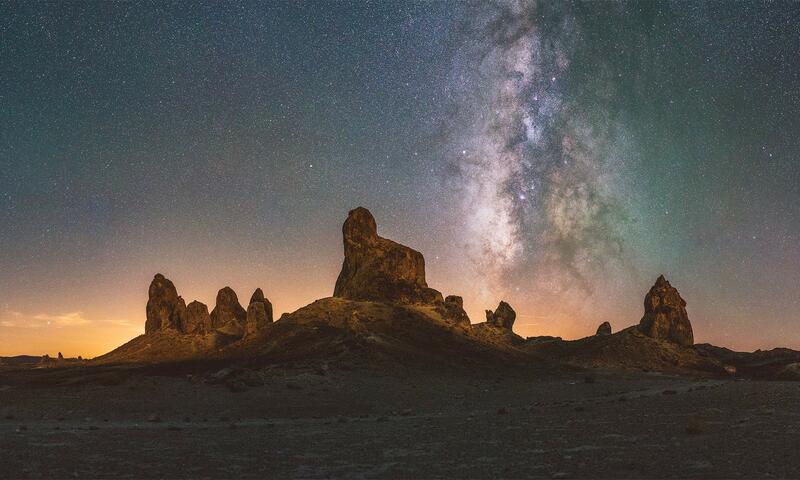 Panoramas require a more methodical workflow and more time post processing but they have become my personal favorite method for maximizing image quality in my astrophotography. Standard primes are roughly 25mm on m4/3 cameras, 35mm on APS-C cameras and 50mm on full-frame cameras. Below, I’ve made my top recommendations in each of these lens categories for each current camera system. The first lens listed in each category is the lens that we would buy, regardless of price. Additionally, we have listed a budget option for many of these categories. In some cases, the budget option is also our top choice. Most of the lenses on this list are designs that were made specifically for that particular format of camera. For example, we did not recommend the Rokinon 14mm f/2.8 as a super wide angle on mirrorless APS-C cameras because that lens, while generally an excellent choice, was originally designed for a DSLR and is extremely large compared to its mirrorless APS-C counter parts. A better choice for the smaller mirrorless APS-C camera bodies would be the Rokinon 12mm f/2 for its compact size, wider field of view and faster aperture. Something that struck me while developing this list is that, for most systems, our favorite lenses are usually from third party manufacturers as opposed to the system camera manufacturer. For example, there are very few native Canon or Nikon Lenses on this list. Most of the lenses that we prefer tend to be made by Samyang/Rokinon, Tamron, Sigma, and Tokina. All of these companies have been rapidly expanding their lens offerings with new and innovative designs that have no direct rivals in terms of performance (and often price) from the likes of Canon and Nikon. Many of these new lenses are fast (low f/number) and have very few aberrations issues. That’s not to say that Canon and Nikon don’t make good lenses, it’s just that many of the other manufacturers tend to make lenses that perform better, especially in regards to coma and aberration performance. For example, even the Tamron 15-30mm f/2.8 is a better pick in terms of image quality than the more expensive and already excellently performing Nikon AF-S 14-24mm f/2.8G ED. The Tamron is sharper with less coma and costs a a few hundred less than the Nikon. In addition to the more budget friendly brands, most of the modern lens designs from Zeiss are also generally excellent in my experience. Many Zeiss lenses offer excellent performance for astrophotography. We recently reviewed the Zeiss Batis 18mm f/2.8 and it proved to be one of my favorite lenses ever. Ok! On to the list. The Sony a7 line of cameras is still the only full-frame mirrorless camera system (other than a Leica) and is the newest lens mount design on this list. I personally shoot with a Sony a7S (full review) and their latest cameras are my personal preference for astrophotography. Sony has been the leader in camera sensor technology in recent years and it shows in their cameras. Choices for full frame lenses on the Sony system are limited but have been rapidly expanding and for the first time it’s now possible to say that Sony has a relatively complete lens lineup. My personal favorite wide angle, and the lens that I keep on my camera about 90% of the time for landscape astrophotography is the Zeiss Batis 18mm f/2.8 (full review). For a fast wide angle, there are two excellent choices: the premium Zeiss Batis 25mm f/2 and the affordable Sony FE 28mm f/2 (full review). I also personally use the Sony Zeiss 55mm f/1.8 (full review) as my standard prime. It’s one of the sharpest lenses I have ever used and it’s a perfect fit for astrophotography panoramas. The premium Sony Planar T* 50mm is just as sharp and offers an even faster aperture of f/1.4. The Sony a6000 (full review) and Sony’s other APS-C mirrorless cameras offer a ton of performance for the money. The a6000 is still my first recommendation for a great budget choice for astrophotography. We prefer to pair these smaller mirrorless cameras with the compact mirrorless lens offerings from Rokinon/Samyang, like the super wide angle Rokinon 12mm f/2 (full review). I started my photography career on Canon cameras and the EOS 6D (full review) still remains on my list of favorite DSLRs for astrophotography. Most of latest lens options from Tamron and Sigma have brought extremely high levels of performance for night photography to the system. The Tamron 15-30mm f/2.8 is unmatched for sharpness and a perfect choice for landscape astrophotography. For standard primes, don’t forget the extremely affordable Canon EF 50mm f/1.8 STM lens (full review). It’s not perfect wide-open at f/1.8 but it’s quite good when stopped down to f/2.8. Canon’s APS-C DSLRs are still the best selling interchangeable lens cameras in the world. We still own a Canon EOS Rebel T5i (700D) and have shot astrophotography with it on occasion, even with the kit lens. In the realm of super wide angle, an excellent upgrade for Canon’s APS-C cameras is the excellent Tokina 11-20mm f/2.8 ultra-wide angle zoom. One stand out lens available for all APS-C DSLRs is the spectacular Sigma 18-35mm f/1.8. It’s the fastest standard zoom ever made and its performance for night photography is nearly perfect. I had a generally positive experience shooting astrophotography with the original Canon EOS M (full review), even though that camera did not receive the best reviews around the community. I still think that the M line of cameras offer a lot of value for the money and are a good choice for photographers who want the familiarity of the excellent Canon interface. 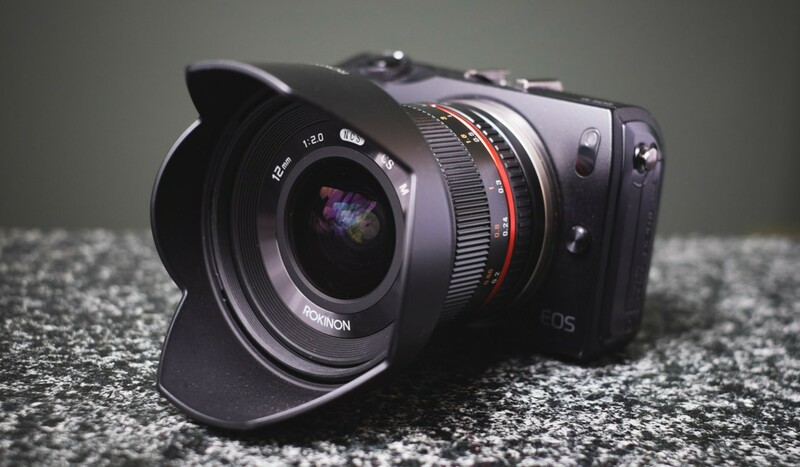 The EOS M line of cameras has become increasingly more competitive with other mirrorless cameras and all of our favorite APS-C mirrorless lenses, like the Rokinon 12mm f/2 (full review), are available for the new EF-M lens mount. 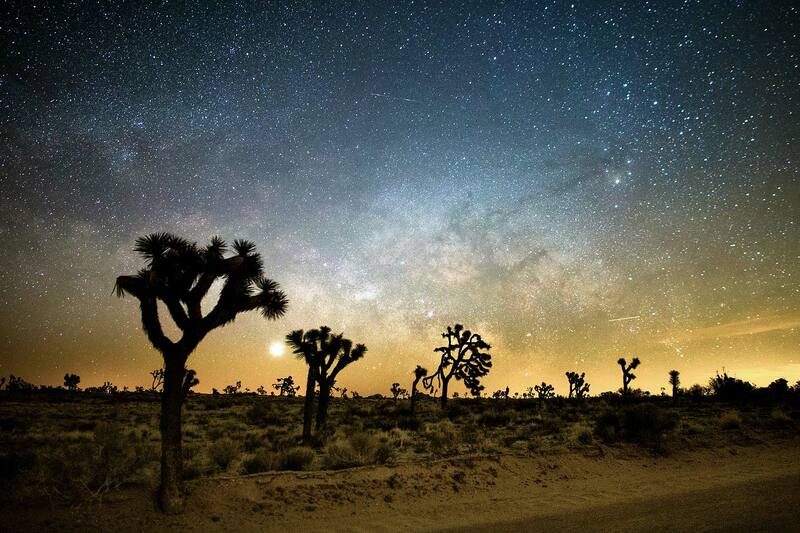 Nikon’s full frame cameras like the D750 are a top choice for astrophotography. Nikon utilizes Sony’s excellent sensors in a classic DSLR body design that many photographers prefer over the more toy-like Sony camera bodies. Just like Canon’s full-frame mount, we love the lens offered from Tamron and Sigma. The Tamron 15-30mm f/2.8 is sharper and more affordable than Nikon’s already excellent 14-24mm f/2.8 and Sigma’s 35mm and 50mm Art lenses set the standard for fast primes in terms of sharpness and value. 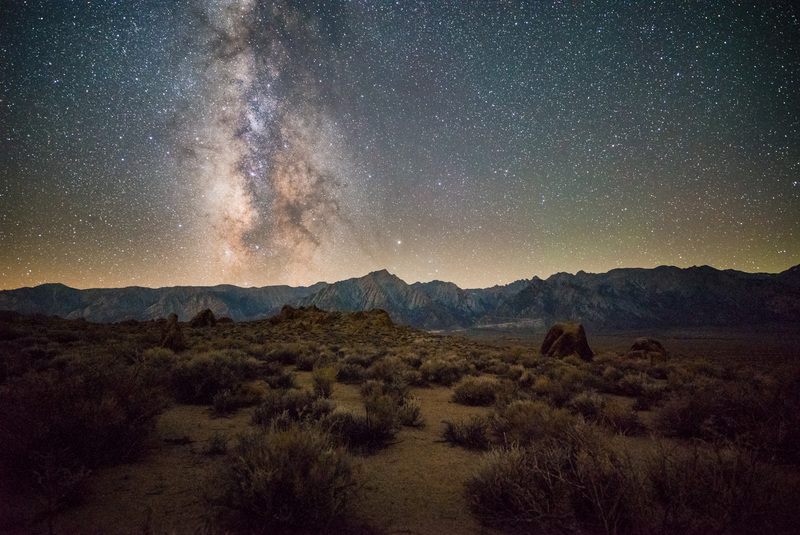 Like Canon’s APS-C DSLRs, we recommend Tokina’s ultra wide angle 11-20mm f/2.8 zoom for Nikon DX camera bodies as a great upgrade for landscape astrophotography. Sigma’s 18-35mm f/1.8 is still unmatched for low-light performance and versatility. Don’t forget the affordable Nikon 35mm f/1.8G as a standard prime. It’s fast, sharp and a great choice as a standard prime, regardless of price. My first mirrorless camera was the Fujifilm X-E1 (full review) and I was blown away by the low-light performance of the X-Series cameras. I eventually upgraded to the Fujifilm X-T1 (full review) and I found it one of my favorite cameras that I’ve ever used. Like the other APS-C mirrorless camera systems on this list, our favorite choices for astrophotography, regardless of price, are the fast manual focus prime lenses available from Rokinon/Samyang. Most of Fujifilm’s prime lenses like the XF 14mm f/2.8 and XF 23mm f/1.4 are well regarded, high performance lenses, but we still prefer the Rokinon lenses for their superior aberration control. Most of Fujifilm’s fastest primes (like the 23mm f/1.4) still have issues with sagittal astigmatism when shot wide-open. The manual focus Rokinon lenses are much better in this regard and can produce stunning night photos in a tiny package. Pentax offers some of the best value for any DSLR camera system. The Pentax K-3 II comes standard with Astrotracer, an innovative sensor shifting function that allows the camera to automatically track the motion of the stars across the sky as the Earth rotates. This allows the K-3 II to capture the sky as if it were mounted to a tracking equatorial mount making extremely long exposures possible. Rather than being limited to just 15-20 second exposures before the stars start streaking across the frame, the K-3 II can shoot for minutes on end, perfectly tracking the stars. No other manufacturer offers anything remotely similar in their cameras and thus Pentax DSLRs stands alone as some of the most astrophotography capable cameras available. Like Canon and Nikon’s APS-C DSLR offerings, the staple recommendations for fast lenses include the Sigma 18-35mm f/1.8 and Sigma 35mm f/1.4 Art. For a super wide angles, our favorite autofocus Tokina 11-20mm f/2.8 is not available for the K mount so our favorite choice is the affordable manual focus Rokinon 10mm f/2.8. The Pentax K1 is Pentax’s first full-frame digital camera. Like Pentax’s APS-C DSLRs, the K1 is also equipped with Astrotracer for enabling ultra long, tracked photos of the night sky. The K1 is a very new camera at the time we originally made this list so modern lens choices are limited. Pentax does have the excellent Pentax FA 15-30mm f/2.8 which, as we understand, is a weather sealed and improved version of the excellent Tamron 15-30mm f/2.8. While the Sigma 35mm f/1.4 Art is available for the K1 as our favorite fast wide angle, there are nearly no autofocus standard 50mm primes lenses available for the K mount that we can recommend. Most of Pentax’s native autofocus standard primes leave a lot to be desired in aberration control. That makes the Rokinon 50mm f/1.4 our top choice for a standard prime on the K1. Olympus and Panasonic both have been making excellent cameras of late and with the combined forces of both manufacturers making lenses for the micro 4/3 mount, there are a ton of lens options. Both of Olympus’s ultra wide angle 7-14mm f/2.8 and 8mm f/2.8 Fisheye are excellent night photography lenses. On the fast prime front, Panasonic offers a Leica designed ultra fast 12mm f/1.4 Summilux, the fastest 12mm lens ever made. The Panasonic 25mm f/1.7 standard prime is also a great choice that has nearly no aberration issues, even when used wide open at f/1.7. Sony recently released the 42 MP a99 Mark II, a monster of a camera that should prove to be one of the best full-frame DSLR like cameras on the market. Like the full-frame Canons and Nikons, our preferred lenses on the full frame Alpha A mount cameras are the Tamron 15-30mm f/2.8 and Sigma Art primes, all of which offer superior performance versus the native Sony A mount offerings. Sony is still keeping the A mount alive with high performance DSLR like cameras like the a77 Mark II. Just like the Nikon and Canon APS-C bodies, we recommend the same excellent lenses offered by Tokina and Sigma. The newest Tokina 11-20mm f/2.8 is not available in A mount at the moment but the older generation Tokina 11-16mm f/2.8 DX-II offers the same excellent performance with just a little less reach on the long end of the zoom. Sigma’s 18-35mm f/1.8, of course, is our first choice for a fast wide angle while the ultra fast Sigma 35mm f/1.4 Art is the best standard prime available for the APS-C A mount cameras. Keep an eye on these promising lens designs. Many of these wide angle lenses have been recently announced or released and the verdict on their actual performance for astrophotography is unknown at the moment. We’re not specifically recommending them but we have high hopes that they will be good options for the future. We’ll do our best to try and test them as the become more readily available. 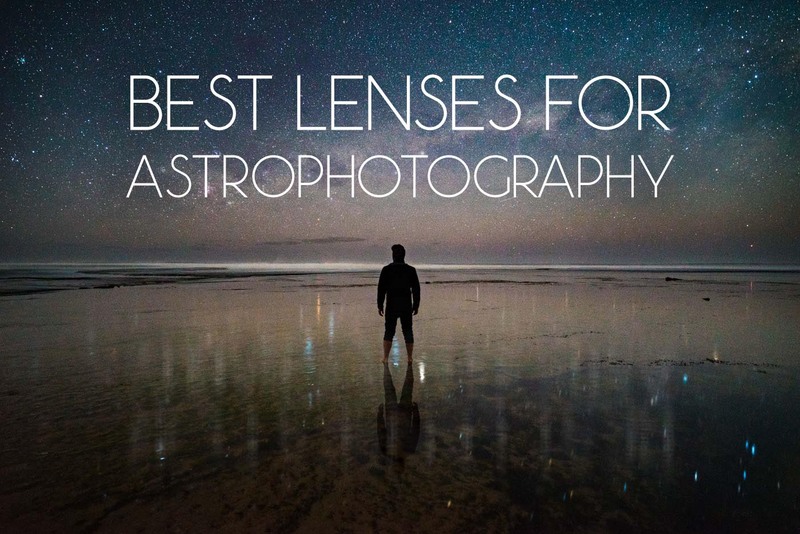 There are many other lens options that may also be great choices but these are our favorites. One of the most important traits, with few exceptions, is that the lenses on this page are generally spectacular in regards to minimizing aberration like astigmatism and coma that would affect stars on the corner of the frame. There may be some lenses that I have not listed here but that does not mean that the may be a great choice, too. Is there a lens that you use and love for astrophotography? Share it in the comments below! I’ll be keeping this gear guide up to date as we review and test more lenses across the various camera systems. How about the Irix 15mm f/2.4 Blackstone? 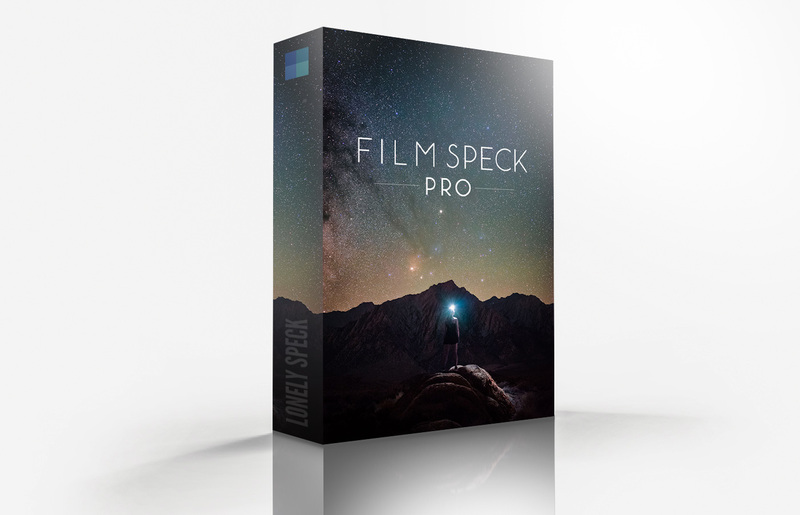 I’ve seen some great astrophotographs done with it. It is very new of course. Have not used the Irix yet but it’s on our “coming soon” list of lenses we want to check out. Hi Daniel, Irix 15mm f2.4 ( 419€) performs very well concerning astro on a D800 and D750 Nikonbody. little coma in the extreme corner, this is gone at f2.8 . The lens performs great at infinity and the quality control is much better than Samyang 14mm f2,8… you need to examine at least 6 copies to find a good Samyang… If you add another 1000€ you can buy a Sigma 14mm f1.8… The Irix filters are great and cheap as well, and I found out that the coating on those Irix filters prevent the lens from fogging. I took overnight time lapses in the mountains, the Irix lens stayed clear from fogging and the B+W filter over my Nikkor 20mm lens fogged. This happens 5 times, and the distance was only a meter or less.. The Blackstone and Firefly have the same optics. Glad to see the Sigma 18-35mm f1.8 all over this list because I just picked one up on Black Friday for a killer price. Curious to see how it stacks up to the Rokinon 16mm f2.0 the that I already own. May I ask what was the deal price? I have a Sony alpha 58. I am successful in clicking orion. Would it be possible to photograph milky way using the device’s autofocus. I am from Coimbatore, India. Thanks in advance. Autofocus is not really recommended for dark sky photography. How about the Nikkor 20mm f1.8? While it won’t go quite as wide as the Tamron 15-30, it’s less expensive and about a stop and a half faster. Additionally, I’ve heard good things about the Nikon mount because it has a larger flange distance than most other mainstream lens mounts, so it can be adapted to a wide number of other mounts — including Canon’s EF mount (though you lose autofocus). This kind of flexibility appeals to me since you never know if you’ll end up switching camera body brands sometime in the future! I run a D750 and I’ve got one of those Nikon 20/1.8s. It’s a great lens for autofocus/daytime use but I gave up on it for astro. Focusing it (at least on my copy) is a pain as the focus ring is very sensitive – a tiny movement can throw it off, but there is also some play in it. I was not too impressed with the picture quality either, and ended up stopping it down to 2.8 and cropping use the D750 1.2 mode to deal with the corner/edge coma and vignetting. So I reckon it’s OK as an effective 24mm f/2.8, but not as full frame wide open. Others will probably disagree. Having dumped the Nikon I went for the Rokinon 14mm (based on LonelySpeck advice) and loved it, and the Sigma 35mm 1.4 A (ditto but even better). I had a chance a little while back to get a good price on the Zeiss 15mm and this is now my lens of choice. It takes filters and the infinity focus is bang on the hard stop – so a dream to use. The detail is staggering and the coma minor. If starting again I’d probably follow the advice here and get the Tamron 15-30. Hey Eric, I have the Nikon 20mm f1.8 and use it extensively for night photography. It’s a great lens and I usually use it at about f2 or f2.2. I use it with a D750. There is a little coma but much better than other similar lenses. I have no trouble at all focusing with it in live view mode at night. Ian – another excellent look at available glass for astro work – as always you are very thorough with your recommendations and reviews – great work! I do have a question – a while back you were liking the rokinon 8mm f2.8. are you liking it it less these days? or is just too wide? and are the corrections necessary just too much work to get acceptable results? A great lens and highly recommended. I’ve has a couple people ask about fisheye lenses… I guess I should add a little section about them! Hey mate. 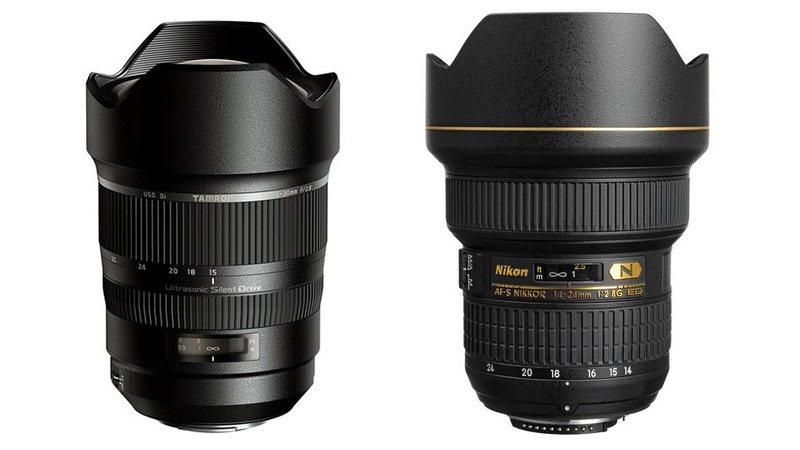 I really want to see how the 16-35mm f2.8 mk3 preforms, can’t wait to get my hands on one. Plus side is I can use it for day to day stuff like weddings. The Canon 16-35 F2.8 iii is amazingly sharp and has very well controlled aberrations and coma. I did an astrophotogprahy lens test with the two Samyangs (14/24mm) and the Tamron all in hand on my 6D body. The Canon Mk3 was the sharpest to the corners and equal in coma performance to any other (much, much better than the Mk2 version of the 16-35 F2.8) but it has vignetting that is worse than even the Samyang 14mm. 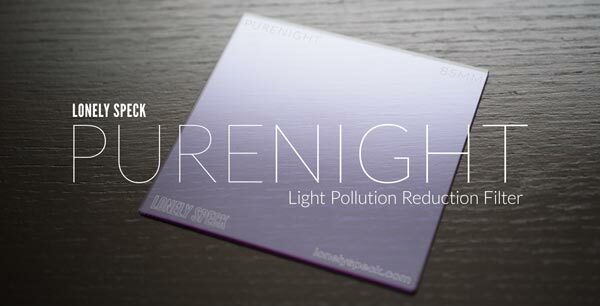 In my opinion this makes it NOT usable for astrophotography or any low light work. You need a lot of signal in the corners to not just have a noisy mess after correcting for vignetting. Daytime shots can probably be corrected ok for corner vignetting, but not low light event or astro work. Not to mention video use.